Lord Balaji Temple is the abode of Sri Venkateswara Swamy in New Delhi, the capital city of India. 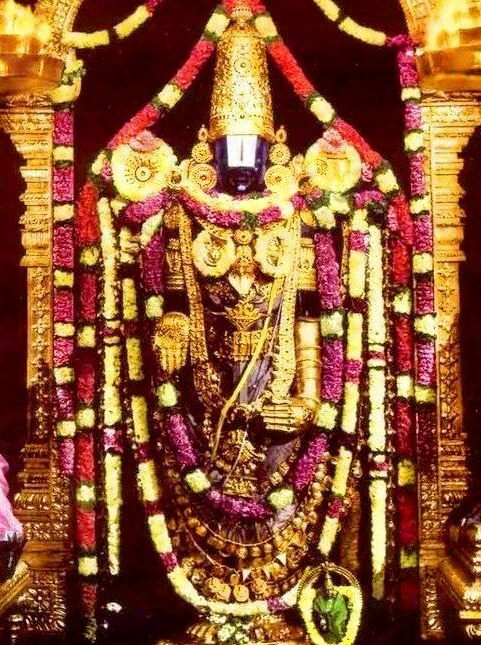 The presiding deity of the temple is Sri Venkateswara Swamy along with his consorts Goddess Sri MahaLakshmi and Bhudevi. 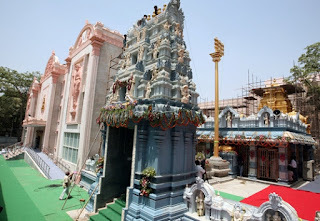 TTD was constructed and inaugurated this temple on May 29, 2013(Wednesday). There is a Dyana Mandir(Meditation Hall) and it was inaugurated on May 30, 2013(Thursday). During the opening ceremony of the temple, a Five day ritual program(Panchahnika Mahotsavam) was conducted. During these five days, Priests and Agama Scholars performed Archana, Agnipratistha, Mahakumbha Sthapana, Chakrabja Mandala Rachana Dwara Thorana, Parivara Devatha homa etc. in a religious manner followed by Purnahuti, Mangala Harati, Teertha-Prasada gosthi and Jaladhivasam. The important rituals like Prana Pratistha and Vigraha Pratistha mahotsavams was performed between 6:00am to 8:00am followed by the Prana Pratistha mahotsavam of Lord Sri Venkateswara, Goddesses Sri Mahalakshmi, Bhu Devi, Sri Garudalwar and Dhwaja Stambham(The Temple Pillar) between 9:00am to 12:00om take place. The Government of India has allotted 1.172 acres Land to TTD in 1994 to propagate Hindu Dharma activities. 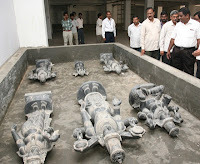 TTD has constructed this temple at a cost of 11.5crores. The temple building is a three stored building. On the Ground floor Srivari Temple is constructed. In the first floor Music and Dance room and in the second floor Meditation Hall(Dhyana Mandir) were constructed. TTD Information Centre located at Andhra Bhawan will be shifted to this temple in near future. TTD will open Spiritual Library where in TTD publications will be kept for sales. At present TTD Spritual Library is located at TTD Press Compound, Tirupati. Training Programs for the Youth in traditional dance and music will be started in Dyana Madir.